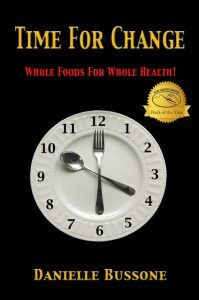 Time For Change Kitchen is a natural extension to what has become a passion for me; sharing with others how they too can improve their health by changing to a whole food plant-based lifestyle. I have always cooked. Some of my earliest memories are of pulling a chair up to my mother’s stove and preparing my own creations. I remember when I was small (I couldn’t have been more than five or six years old.) and I wanted to make french fries. I had watched my mother prepare them many times, but I had never actually seen her put the frying liquid into the pot. I assumed that since the liquid was clear, it was water. So one day I filled a pot with water, added some cut-up potatoes and brought it to a boil. I was surprised to find when I removed the potatoes from the pan, they were not crisp but instead had become soft. I then got the bright idea to mash them with a little butter and milk, and voila! I invented mashed potatoes! So began a lifetime of experimentation and discovery. It took becoming very sick, however, for me to understand the connection between food and health. I finally realized that what I choose to put into my mouth makes the difference in whether my life will be vital and filled with promise or whether I must accept a life of disease and decline. Once I made that connection, I never looked back. No more animal protein on my plate and no more fried and processed foods for me. I used to believe that fat was flavor. Now I realize that fat is just fat. Flavor is achieved by pairing appropriate spices with specific ingredients, by using cooking methods to bring out the natural elements of the raw components of a dish, like the sweetness of an onion or the nuttiness of a grain, and by juxtaposing textures and colors to tease both the palate and the eye. Learning to prepare foods that satisfy the body’s need for nutrition, the mind’s need for pleasure, and the soul’s need for beauty is a journey of intrigue that enlists all our pleasure centers; taste, touch, smell, sight, and sound. We also involve the reasoning portions of our brains, igniting a curiosity and dogged determination in our pursuits to uncover the hidden secrets behind achieving a subtle flavor or unusual consistency. Time For Change Kitchen invites you to join the growing movement of plant-based connoisseurs who live in concert with our environment, who are concerned about the vulnerable, developing minds and bodies of our children, who love animals and do not wish to cause them harm, and who are heroic guardians of the earth. It’s time for change, right now. I take every opportunity to share my passion for preparing delicious foods from plants. My husband, Rich, and I switched to a plant-based lifestyle together and are much happier and healthier as a result.